Wooden arch top mirror with golf leaf inlay. 27" wide, 41" high to top of arch. 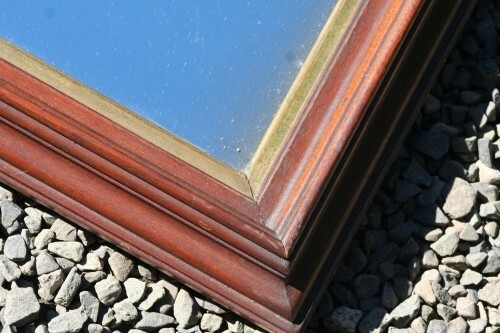 Antique mirror has slight blemish as typical of antique. 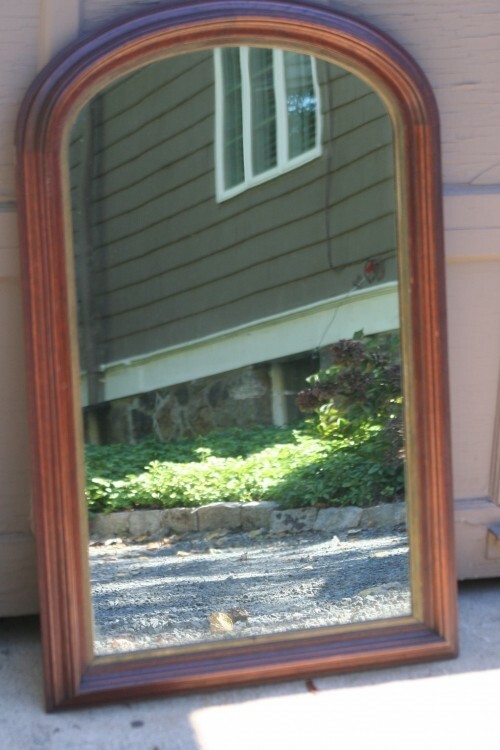 Great mirror for any room that needs a lift!